... plus lots of Quinoa Tips! I don't eat very much meat, but I had a package of 99% lean ground turkey in my freezer, taking up space, and I really wanted to use it somehow. I always buy it when it is on a good sale, (which is barely ever for the 99% lean, as opposed to the 93% lean) and toss it in the freezer. So, where did I go for recipe inspiration? Pinterest, of course. 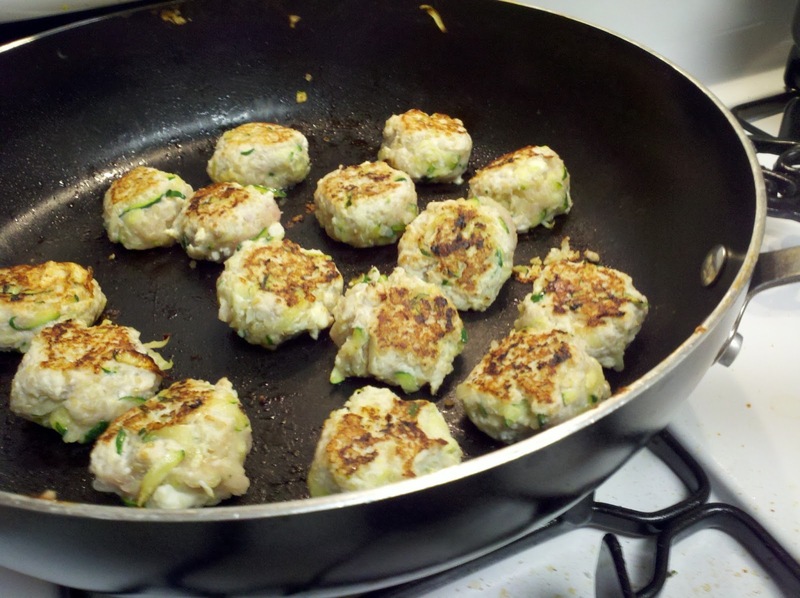 These turkey quinoa zucchini meatballs, from Dara at Cookin' Canuck looked right up my alley. 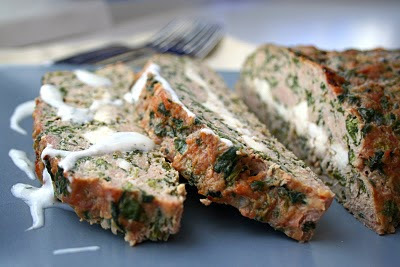 Then, this feta stuffed turkey meatloaf with tzatziki sauce from Carolyn at All Day I Dream About Food, looked amazing, too, and I liked the Greek twist instead of Italian. 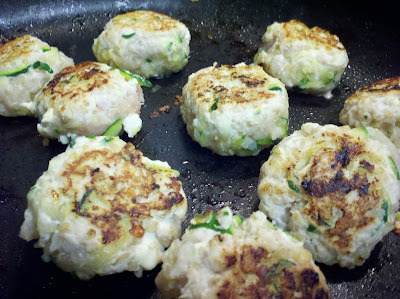 For these meatballs, I kind of combined these 2 recipes above and made up my own, but I will try and give you a recipe! OK, so the only thing that makes these "Greek" is the feta cheese, haha, and also that I served them drizzled with Tzatziki sauce. salt, pepper, whatever spices you like. I added some fresh dill. I found with the moisture of the veggies and quinoa I did not need an egg to bind these together. You could add if you'd like. I mixed everything together (oh, go ahead and just use your hands!) and formed into balls. I put a few into a skillet with olive oil at a time and browned both sides, then dumped them into an oven safe dish and baked them the rest of the way through, until fully cooked. To keep a Greek theme (with the feta cheese) I served with a Tzatziki sauce (yogurt, dill, cucumber...I bought mine at Trader Joe's, but it also is super easy to make), but you could also put them into a tomato sauce, bbq sauce, or however you like. They stay really moist because of the quinoa and veggies. 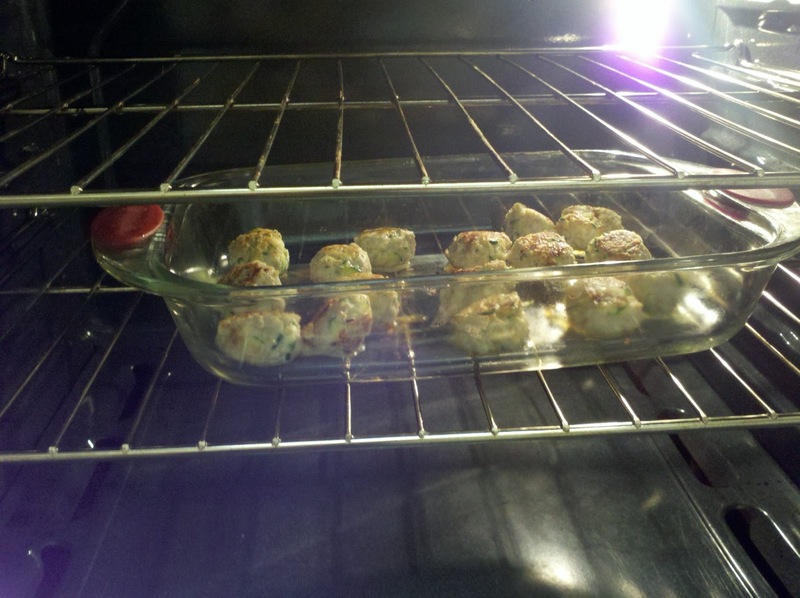 Sometimes just straight lean turkey meatballs get really dry. 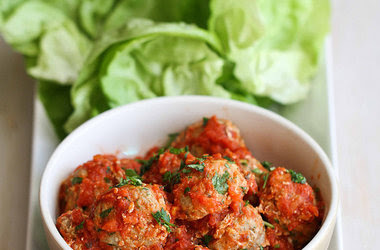 You could also make this into a meatloaf instead. 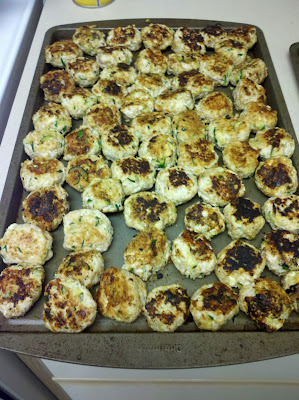 Speaking of freezing things, I made a ton (for this party of 1), and actually froze these. Now I can take out 3 or 4, toss them in the microwave, and have a super quick dinner! And even with microwaving them to reheat, they still stay moist! -I bought one of those fine mesh strainers (much smaller than a pasta colander, and before you cook the quinoa, vigorously rinse it under water in the strainer. They say it rinses off a bitter flavor. -Then, put it in a sauce pan with a bit of olive oil and turn the stove heat to medium. Let the quinoa brown a little bit, kind of toast it, and then add the recommended amount of water and follow the package directions. (Bring up to boil, cover with lid, reduce heat and cook until all liquid is absorbed. Fluff with fork) The toasting is supposed to add more flavor. 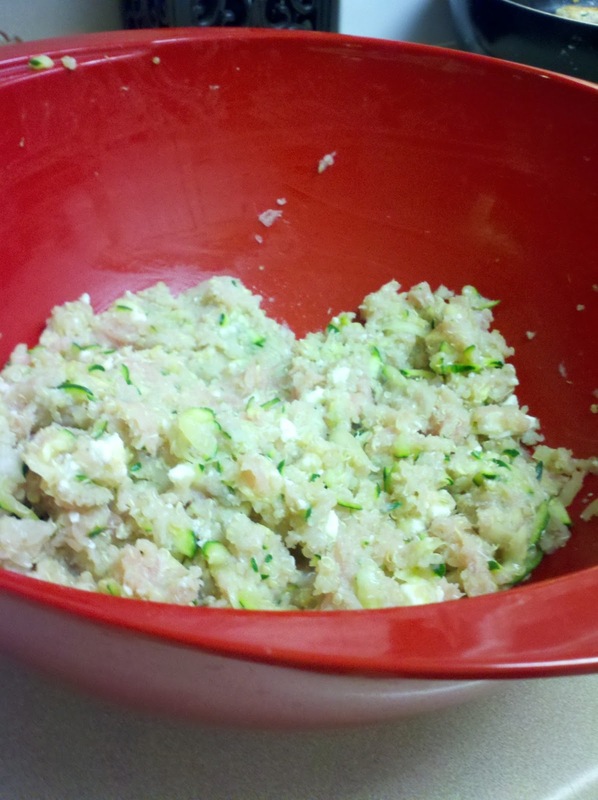 -You can also try cooking it in chicken, beef, or vegetable broth instead of water. For those hesitant about not liking quinoa, this is a great way to sneak it, and get all the health benefits, like protein, into a meal - you don't notice it much at all! I also like to add quinoa into dishes that bake for additional time, with the cooked quinoa added to it, like adding cooked quinoa into stuffed bell peppers, stuffed mushrooms, a baked mac n cheese, instead of the pasta, or another baked Italian type casserole dish. It absorbs more moisture and flavor from cooking longer like that with other ingredients, and then it tastes even better, or you don't notice it's there. But the flavor has really grown on me, and I like quinoa now as a substitute for rice, or as part of a vegetarian main dish. Try it!